I just came across the website http://recoveringfrompsychiatry.com/ , having watched Laura Delano’s Youtube video “Recovering from Psychiatry -Reflections on life, death and suicide”, https://www.youtube.com/watch?t=1&v=zY1nJzmohJg . I highly recommend both the video and the website. The content of both represents where mental health understanding and responses need to go, if we are really serious about addressing the emotional and mental health crises that face so many so-called “developed” countries. It is time for Western societies to work towards replacing psychiatry – which has little or no real scientific underpinning, despite what you might have heard, and contains a great deal of flawed science and logic – with an understanding of emotional and mental health that is accurate, compassionate, and unbiased. Medication should play a part, but not the over-riding dominant part it currently plays. Psychiatry’s biases have made it extremely unlikely that the solving of these crises will come from that direction, unless it undergoes radical surgery. Psychiatry simply does not have neither the knowledge nor the objectivity to look naively at emotional and mental health, that is, to see it for what it actually is rather than what they interpret and proclaim it to be. There are too many vested interests involved. The public need to wake up to these realities. Websites like this one will help awaken the sleeping giant that is public opinion from its slumber, and contribute significantly to a growing public demand for the much needed and long overdue change in the mental health paradigm. This entry was posted in Blog and tagged anorexia, bipolar disorder, depression, Dr. Terry Lynch, Laura Delano, mental health, mental health recovery, mental illness, psychiatry, schizophrenia, suicide, www.recoveringfrompsychiatry.com on 30th September 2015 by drterry. 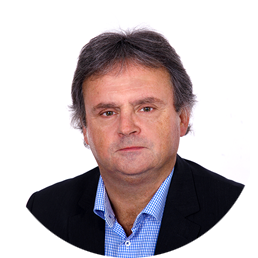 Dr. Terry Lynch is Dr. Peter Breggin’s radio show guest on 7th Oct 2015. I have had a long association with American psychiatrist and author Peter Breggin. His classic book “Toxic Psychiatry” was transformative for me in my search for truth in mental health, and contributed to my ceasing to work as a typical GP in 2000 to find a better way of understanding and working with people experiencing emotional and mental health problems. Since then, we have become friends and comrades in the drive for paradigm change in mental health, from a biologically-dominated paradigm that is severely flawed both logically and scientifically, to a paradigm that is grounded upon people’s experiences (rather than upon doctors’ interpretation of them); that first seeks to make sense of experiences and behaviours rather than reflexly set out to medically pathologize them; that recognises that recovery is not only possible, but a human right. The show is live, a podcast will be available shortly after the show. This entry was posted in Blog and tagged anorexia, bipolar disorder, chemical imbalance, chemical imbalance misinformation, depression, Depression delusion, Dr. Peter Breggin, Dr. Terry Lynch, eating disorders, mental disorders, mental health, mental health recovery, mental illness, obsessive compulsive disorder (OCD), psychiatry, schizophrenia, suicide, The Peter Breggin Hour on 30th September 2015 by drterry. “Paths to recovery” – Mental health discussion and Q & A session with Dr. Terry Lynch, Brian McNulty and Dr. Mike Watts: 7-9 pm Monday 5th Oct 2015, at Limerick Institute of Technology campus, Moylish, Limerick. I am looking forward to this evening of discussion about mental health, part of Limerick Mental Health Awareness Week. I believe that this will be informal evening of discussion. Brian McNulty is the author of “Embracing Sanity – One Man’s Footsteps: A Memoir”. In this book, Brian recounts his story. Brian is now off all prescription medication for six years, prescribed for bipolar disorder, a psychiatric diagnoses that psychiatrists insist needs medication for life. Brian is living proof of the inaccuracy of the mainstream medical position on this, as are many others I know and have worked with over the past 20 years. I have known Mike Watts for over 15 years, and I am delighted that Mike will be involved in this discussion. Mike has been a great mental health campaigner in Ireland for several decades. I believe that Mike recently received a Doctorate (PhD), and that his thesis was on the topic of Recovery. In the mental health sphere, I wear a number of hats – author, mental health activist, physician, psychotherapist. 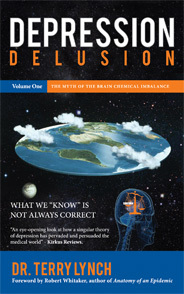 To date I am the author of 3 books on mental health, “Depression Delusion Volume One: The Myth of the Brain Chemical Imbalance” (September 2015), “Selfhood: A Key to the Recovery of Emotional Wellbeing, Mental Health and the Prevention of Mental Health Problems” (2011) and “Beyond Prozac: Healing Mental Distress” (2001 + 2005 [2004 in UK]). The first draft of my next book, working title “Depression: Its true nature” is already written, estimated publication date April 2016. I take my role and responsibility as a mental health activist (and whistle-blower) for much-needed change very seriously. So it should be a good night. This entry was posted in News and tagged anorexia, bipolar disorder, Brian McNulty, chemical imbalance, depression, Dr. Mike Watts, Dr. Terry Lynch, eating disorders, Embracing Sanity, Limerick Mental Health Awareness week, mental disorders, mental health, mental health recovery, mental illness, obsessive compulsive disorder (OCD), psychiatry, schizophrenia, suicide on 28th September 2015 by drterry. According to their website, MyHealth.Alberta.ca “was built by the Alberta Government and Alberta Health Services to give Albertans one place to go for ‘health information they can trust’” (emphasis theirs). The site reassures readers that the information on the site is correct, up to date, and written for people who live in Alberta, Canada. So, here we have an official, government-backed website that ensures its visitors that they can totally trust the accuracy of the site’s content. Pretty convincing. Well, here’s one piece of misinformation – actually, three, the misinformation is repeated three times – that seems to have slipped through their net. Contrary to popular belief, there are no identified brain chemical imbalances in depression or any other psychiatric diagnosis, borderline personality disorder included. So, here we have an official government site making false claims about the existence of brain chemical imbalances and borderline personality disorder. The above passages, quoted directly from the MyHealth.Alberta.ca’s website, contain 3 false claims (those I put in italics in the above passages). These claims are false because no chemical imbalances have been scientifically and reliably identified in borderline personality disorder, no more than they have in depression. It appears from the site that this (mis)information has been passed as accurate by two medical doctors, one of whom specialises in Child and Adolescent Psychiatry. This really matters. MyHealth.Alberta.ca’s inclusion of this misinformation means that thousands of site visitors will erroneously conclude that brain chemical imbalances are a scientifically identified and known feature of borderline personality disorder. This is simply not true. So, let’s sum up: Official government site; accuracy in all information promised; three untrue statements about chemical imbalances and borderline personality disorder, validated as correct by two doctors including one psychiatrist. That’s not okay by me, but this does illustrate why I wrote “Depression Delusion Volume One: The Myth of the Brain Chemical Imbalance” (I will address borderline personality disorder in a future book). I wrote that book because it is clear that the majority of the Western world has bought into the false notion that chemical imbalances are a known feature of psychiatric diagnoses including depression, bipolar disorder, schizophrenia, obsessive compulsive disorder, eating disorders and borderline personality disorder. This false notion has been disgracefully used by drug companies and the medical profession to persuade millions of people worldwide that there is a scientific biological legitimacy underpinning the prescription of antidepressants and other psychiatric medication. In this book, I explain why convincing the public that this falsehood is a known “fact” has been extremely important to drug companies and the medical profession. MyHealth.Alberta.ca should immediately remove these three pieces of misinformation from their website. They should inform their readers that they have done so. They should apologise for misinforming their many readers. I will send the information on this blog to feedback@myhealth.alberta.ca today. If I receive any feedback from them, I will let you know. Thanks to Anika for drawing my attention to this. This entry was posted in Blog and tagged bipolar disorder, chemical imbalance, chemical imbalance misinformation, David A. Axelson, depression, Depression delusion, Dr. Terry Lynch, eating disorders, John Pope, MD, mental disorders, mental health, mental health recovery, mental illness, MyHealth.Alberta.ca, obsessive compulsive disorder (OCD), psychiatry, schizophrenia on 25th September 2015 by drterry. Video of Dr. Terry Lynch, “Depression Delusion: The Myth of the Brain Chemical Imbalance” book launch 08th Sept 2015, hosted by Mindfreedom Ireland. Time for new beginnings in mental health. The launch of my third book, Depression Delusion Volume One: The Myth of the Brain Chemical Imbalance took place on 08th September 2015, hosted by my old friends at Mindfreedom Ireland. Patrice Campion and I discussed many issues relating to mental health and my new book. There was considerable audience participation during the launch. We covered a range of issues including depression, suicide, what depression actually is, the brain chemical imbalance falsehood, psychiatry’s lack of biological evidence, the paradigm change that is so urgently needed. This entry was posted in Blog and tagged depression, Depression delusion, Dr. Terry Lynch, mental disorders, mental health, mental health recovery, mental illness, psychiatry, suicide on 11th September 2015 by drterry. This entry was posted in Blog and tagged depression, mental health, mental illness, suicide, suicide prevention, world suicide prevention day on 10th September 2015 by drterry. This entry was posted in Videos on 1st September 2015 by admin.